VERY IMPORTANT: Do not run this procedure on websites that contains already articles and contents, as they will be rewritten. If you have a pre-existing website, create a new site and run the demo setup on the new site, then import your old contents in the new website. Please remember that pictures and audio samples are not part of the product. You will import all the pages and settings but you will need to upload your own featured images. To perform the automatic demo contents installation, you need to have the T2G Theme Dashboard plugin active. 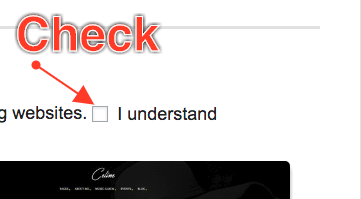 Read the important information regarding your data, and if you agree, select the checkbox. 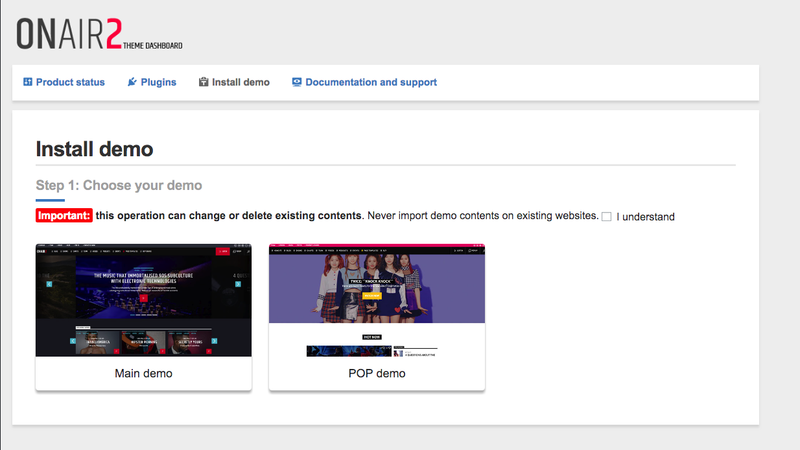 Be aware that importing the demo contents can delete or modify your existing pages and images. 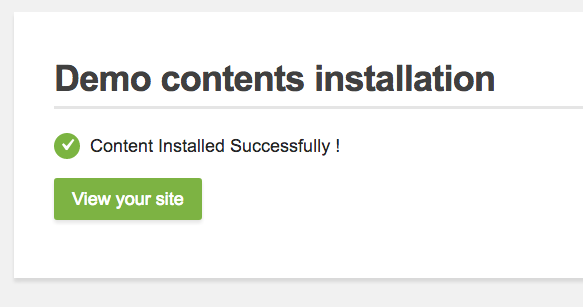 Never run this procedure on pre-existing websites. You can now start creating and editing the contents!